As NPQ has reported, there has been a steady decline—nearly half—in the number of executions since 2009, from 52 executions to 28 in 2015. While changing public opinion and increased media scrutiny may be in part responsible for the decline, we can also credit death penalty opponents’ activism, whose campaigning has led to the limited availability of essential drugs used in the cocktails, effectively tying the hands of several states. Nonprofit journalism site The Marshall Project conducted a review of the current status of the death penalty in the states that still have capital punishment. While 31 states have the death penalty, only four states are actively executing inmates using lethal injection: Missouri, Texas, Alabama, and Georgia. What about the rest of the 27 states? Florida, one of the states that allows the death penalty and has been executing inmates, is currently in the midst of a major review of its death penalty sentencing procedures. As we reported earlier this year, the U.S. Supreme Court decided the amount of autonomy Florida judges have, including being able to ignore a jury’s sentencing decision, is unconstitutional. Other states, Louisiana, Virginia, Arizona and Arkansas, have or are about to use the last of their drug supplies to execute inmates. Louisiana has halted executions until July of this year until the state can figure out how it will proceed to execute inmates without a legal source to supply the drug hydromorphone, which manages pain, and the controversial sedative, midazolam. Ohio has had to reschedule several of its upcoming 11 executions, and Nebraska is also looking for a legal source. It wasn’t long after pentobarbital became one of the most used drugs in executions that activists began looking for a way to tackle that supply. 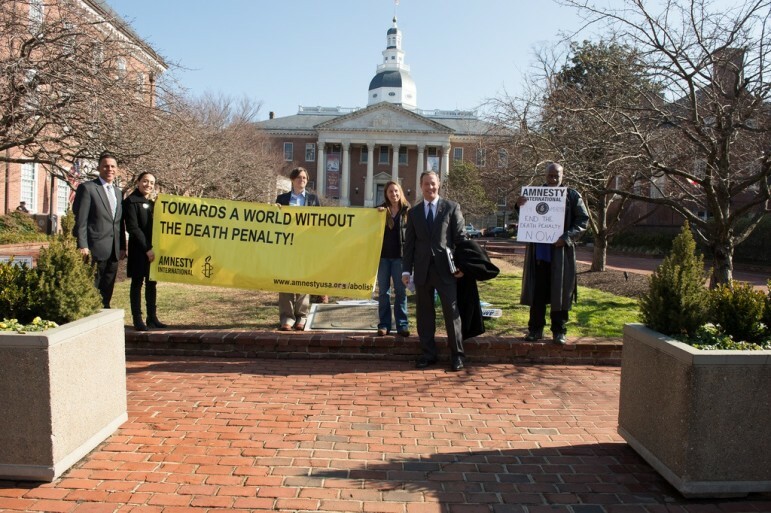 In early 2011, after British death penalty opponent Maya Foa found out that the primary contributor of the drug was Lundbeck, a Danish company, she set out on a mission to the expose the connection. Lundbeck did not know its drug, which it produced for epilepsy, was being used for execution in the United States. While the European Union has banned the death penalty for its members, Denmark itself banned the practice by around 1980, and the revelation was particularly hurtful for the Danish. Along with Foa, human rights groups, including Amnesty International and UK-based Reprieve, campaigned to spotlight Lundbeck’s role in executions, which it was clearly uncomfortable with. The company said it would no longer sell the drug to the U.S. for executions. Lundbeck’s refusal to sell the drugs also led 10 other U.S. pharmaceutical companies to stop their drugs from being used. Once again, states were forced to either find either other suppliers of the drug or drop it altogether in favor of substitutes like the muscle relaxants pancuronium bromide or rocuronium bromide. Most recently, midazolam, the center of the Supreme Court case, has been used in several states. When states do find alternative drugs, they then have to contend with the legal challenges to the constitutionality of the drug—specifically, whether it constitutes cruel and unusual punishment. Some states that still use pentobarbital, like Texas, refuse to divulge where they receive their supply of the drug.